I was going to wait until winter to share this warming spicy plum smoothie but I’ve had so many requests for it so how could I not let you in on this gorgeous treat. 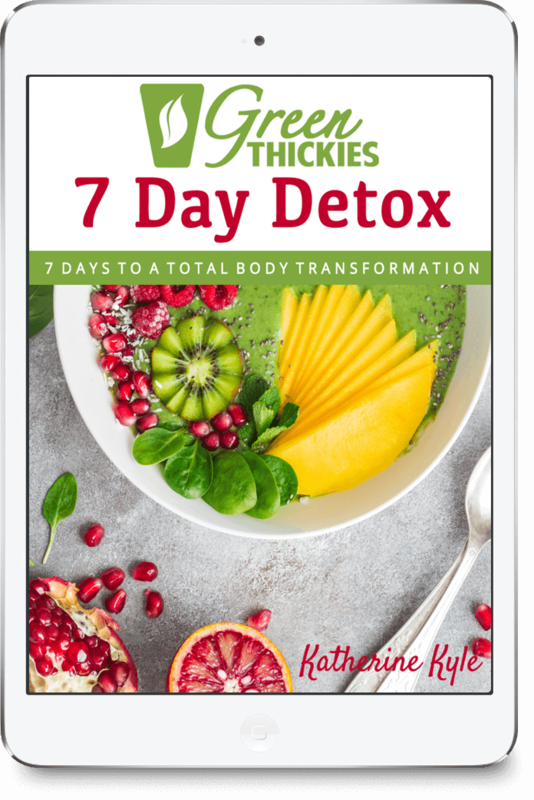 Sometimes when you are detoxing or eating a very clean diet with a lot of raw food, your body temperature actually drops so you can feel the cold a lot more. So during my 7 day Green Thickie Challengelast week it was great to have something to warm myself up as it’s been pretty cold here. Plums are in season here at the moment and we’re all absolutely loving them. I especially love the ones that are bright red in the middle, so vibrant! My husband thinks the way I say ‘plum’ is really funny and he gets me to repeat it over and over. Who knows why! 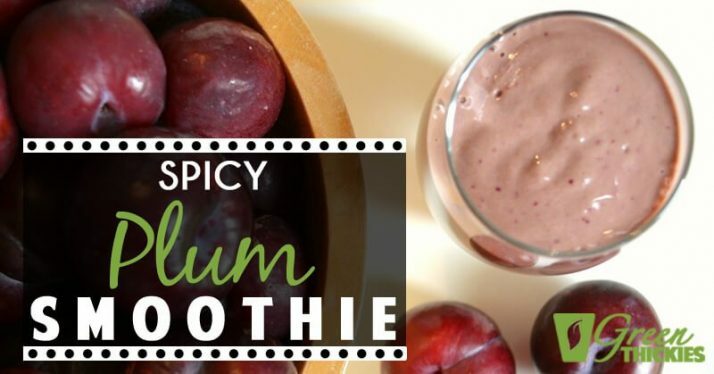 This plum smoothie has a bit of warming ginger and cayenne pepper which gives it a real kick. However if you don’t like spicy food, just leave out the cayenne pepper or adjust it to your own needs. 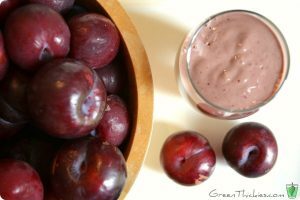 This plum smoothie is also another great smoothie for people that aren’t keen on the look of a green smoothie as it will go pink if you use plums that are bright red inside. Plums are rich in fiber, sorbitol, andisatin which are all great for your digestion and help to get everything moving again. Plums that have a rich colour and have white marks on them indicate that the fruit hasn’t been over handled so that’s a good sign. Plums may need to ripen at home and you can tell that they are ripe when they are soft and yield to gentle pressure. They will also have a fruity fragrance. Leave them out of the fridge to ripen and once they are ripe you can store them in the fridge to help them last longer. What’s your favourite way to eat plums? Comments always put a smile on my face, so please take a minute to say hello below. Many thanks. 1 Cup Spinach, tightly packed or 2 cups loosely packed. (Or any other mild greens)OR if you run out of fresh greens, add 2 scoops of Amazing Green Powder for an extra healthy green boost. The calories shown are for half of the ingredients listed as this smoothie serves 2. If you want less calories add less oats. NEWS: Don’t forget that next week I’m going to invite you to participate in your own Green Thickie Challenge which will involve replacing at least one of your meals with a green thickie. Thank you so much to those of you who have already started. You are a massive inspiration! It’s all so very exciting. 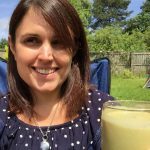 I have shared this post with Healthy Vegan Fridays, Slightly indulgent Tuesdays and Wellness Weekends. Delicious! I don’t have plums nearly often enough. I feel like I missed so much good summer fruit doing this anti-candida thing it’s making me sad! Are plums in season till the winter? Please say yes! I’m starting to incorporate some fruit back now (mainly green apples and berries) so that’s a start! I guess I’ll really appreciate the fruit next summer. Would love a refreshing but warming gulp right now! 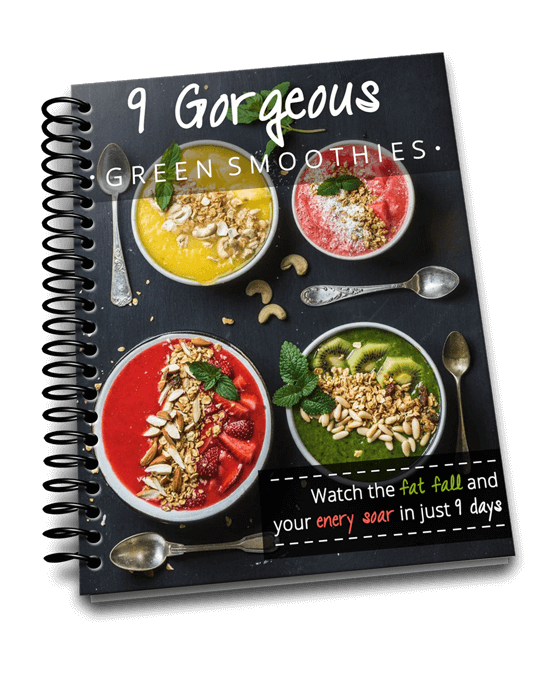 I love all the secret goodies in this smoothie! I love anything with dates and I love how there are plums in it as well. I will need to pick some up so I can make it! p.s. mine didn’t turn a beautiful pink colour like yours though. I’m so glad you liked it and tried quinoa too! That’s a shame it didn’t turn pink. I think it might depend on the type of plums used and the amount of greens also. this sounds amazing. 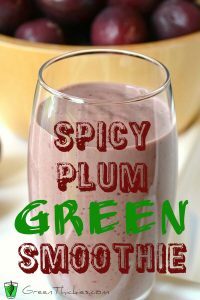 I love plums and i love how easy the spinach is to sneak into smoothies! Thank you. I adore plums too. They are one of the few fruits I really enjoy eating raw but I also love the spiciness of this smoothie. this sounds amazing. I love plums and i love how easy the spinach is to sneak into smoothies. Hi, cayenne works so well in this smoothie. It’s such a warming meal! Thank you so much for mentioning me in your quinoa smoothie post. I’m so glad you enjoyed it. Yum, I am a smoothie lover. This is awesome, I’ve never used plums in any smoothies before. I saw this on Creative Thursday’s linky party. I shared a pumpkin carob donut recipe that I’d love you to check out as well! You’ve got to try plums in a smoothie. They are lovely. Especially with the spicy kick. I’ve just left a comment on your lovely looking donuts. 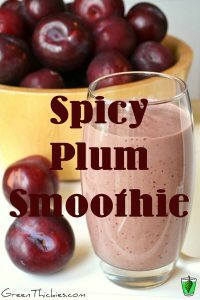 Your spicy plum smoothie sounds perfect for fall with lots of yummy seasonal flavours. I like the spices too. 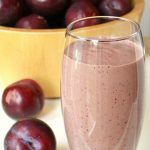 I never heard of a plum smoothie and I don’t know why it is such a wonderful fruit to blend. Thanks for sharing it on foodie friday. Yes it’s actually the first time I’ve tried it too. I’d never thought of blending it before. I think it’s because I really enjoy eating plums as they are so they get eaten too quickly in this house. I had to buy a massive batch of plums that week. 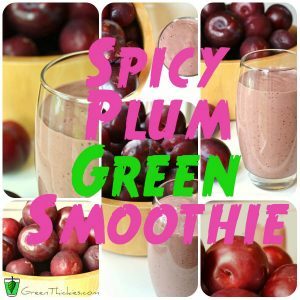 I just love plums and this smoothie would just be awesome, I have never had a plum smoothie, but I am looking forward to trying it. Hope you have a great weekend and thank you so much for sharing with Full Plate Thursday. Hi Miz Helen, I think you’d really enjoyo this smoothie. Thank you, hope you’ve had a good weekend too and I’ll be back again. I have had more than my fair share of these smoothies since discovering this recipe! Delicious! That’s great to hear Andrea. Thank you so much for letting me know. I am always trying new recipes but I’m going to make it again myself this week as I really loved that one. I never would have thought to add those spices to a smoothie like this. I bet it’s delicious. Thanks for linking up to Healthy 2day Wednesday!